Presented by Wayne Winkler, author of Walking Toward the Sunset: The Melungeons of Appalachia. 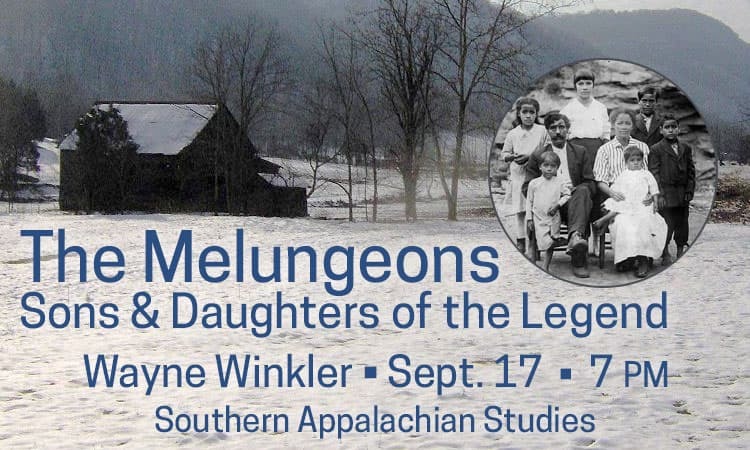 Winkler, director of public radio station WETS-FM, will present an overview of the Melungeons, a mixed ethnic group first documented in the Clinch River region of northeast Tennessee and southwest Virginia in the early 19th century. The mystery of their origin led to numerous legends, while speculation about their racial background led to social and legal discrimination.